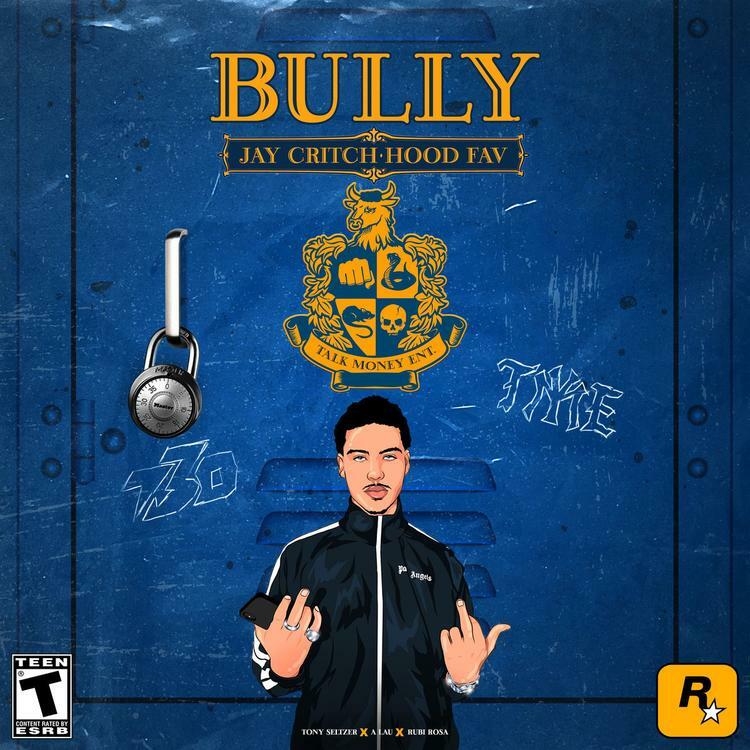 Brooklyn has a few special talents right now and one of the leaders of the new school is Jay Critch. The young rapper has consistently released solid projects and it looks like more of the same can be expected for 2019. Although he may not be the biggest name in the world yet, he's definitely somebody to watch out for because he's shown the capability to connect with a large audience using lyricism, raw talent and hard flows. This week, he returns with his new single "Bully." Produced by Tony Seltzer, A Lau and Rubi Rosa, "Bully" combines melody, clever wordplay and menacing lyricism. Much of Jay Critch's catalog has been built from street bangers with his most recent album seeing him depart from his comfort zone a little bit. "Bully" is the intersection between melodic Critch and hard Critch. What do you think of this one?